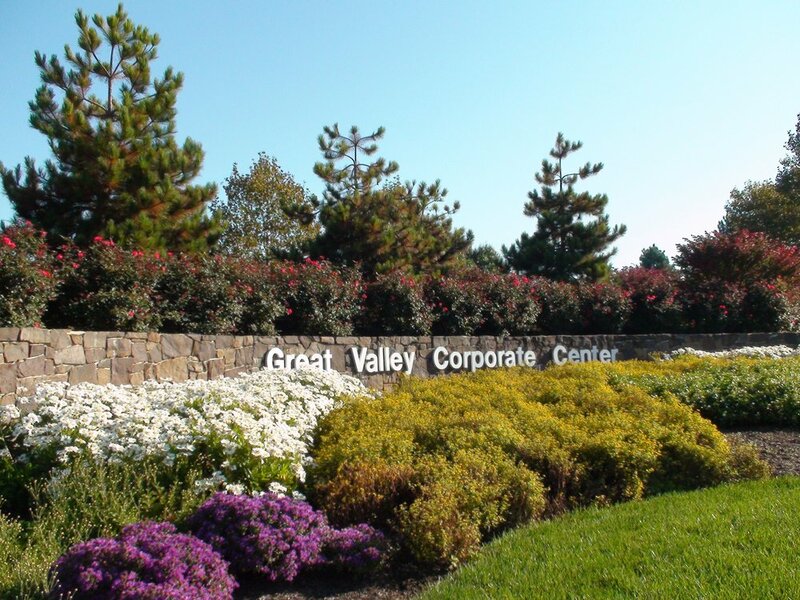 Great Valley Corporate Center consists of a 650 acre landmark development in Malvern, PA. Developed by Rouse & Associates in 1974, the Park has grown over the years to include five million square feet of office, industrial, retail, and education facilities, and employs more than 20,000 people. In 1985 President Reagan delivered a landmark tax address to the nation from Great Valley Corporate Center calling it “the workplace of the future”. Orsatti + Stuart Associates was involved from the onset in preparing the original Master Plan for the Corporate Center, along with the landscape design on the majority of the individual buildings. Orsatti + Stuart Associates continues to provide on-going consulting services for Liberty Property Trust.